How Does Pumpkin Benefit Your Skin? Pumpkin has long been a fall favorite for food and lattes; however it boasts some pretty powerful benefits for your skin! Now that's it's pumpkin season maybe you should consider adding pumpkin (or products containing pumpkin) to your skin care routine and experience for yourself the benefits of pumpkin for your skin. Potassium, copper, magnesium, manganese, zinc and iron are just a few of the minerals found in pumpkin. Potassium helps promote healthy hair and regrowth, copper and zinc play a big part in healthy skin and hair. Zinc helps protect cell membranes, maintain collagen, fight acne, and promotes skin renewal. It is also rich in vitamins C, E, T, and A which help the skin fight free radical damage and acne. Pumpkins contain enzymes that dissolve dead skin cells. This makes it easier for your skin to absorb nutrients and retain moisture. Due to the high enzyme content, pumpkin is great for helping to get rid of calluses and soften rough skin. This type of exfoliation is is gentle enough for all skin types and effective enough on even the roughest patches of skin. Vitamin A, also known as beta-carotene, is the vitamin that gives pumpkin (and carrots) it's beautiful orange color. It is also a great antioxidant that helps fight free radical damage responsible for poor skin elasticity. Vitamins C and E also help fight free radical damage resulting in smoother, softer, and more supple skin. The copper and vitamin A in pumpkin may help even out the skin and possibly reduce scarring from acne. Zinc helps regulate oil production in the skin which in turn helps minimize breakouts. Vitamin T (bet ya didn't know about this one, because I didn't lol), also known as torulitine helps reduce inflammation and pore size thus minimizing the appearance of pimples, blackheads, and blemishes. Now that you know how pumpkin can benefit your skin why not try it? 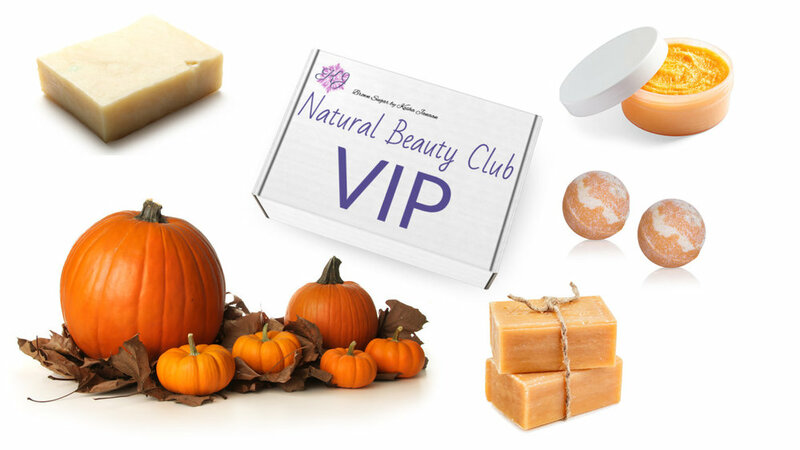 This month's Natural Beauty VIP box features pumpkin! Check it out here.